Fong-Man Biotech Farm sits atop the rich red earth of Bagua Mountain. Growing on the natural ecological farm are organic tea trees, turmeric, honeysuckle and perilla. The vast land and farming village are managed by winner of Taiwan Shennong Award (an award to recognize excellence in agriculture), Doctor of Philosophy in agronomy (turmeric) from National Chung Hsing University and a group of farmers who share the same philosophy and believe in the same dream. High-quality Doctor Red Turmeric cultivated in natural, Earth-friendly environment named one of top 100 gift choices in Taiwan and top 10 gift choices in Nantou County. Grown in organic compost, Fong-Man Biotech Farm’s Doctor Red Turmeric contains five times more curcumin than turmeric grown in Japan, giving you abundant vitality and powerful nutrition, and makes an ideal gift. To protect consumers, Fong-Man Biotech Farm grows red turmeric in a safe and unpolluted environment following stringent guidelines. The products are regularly sent for SGS testing, passing tests for 470 agricultural pesticide residues. Using the highest test standards in the world, Fong-Man Biotech Farm guarantees that its products are free from any pesticide residue because your health is our top priority. Doctor Red Turmeric is derived from Mingdao No.1 red turmeric – a turmeric species developed by Dr. Hsieh. Each jar contains up to 5500mg of curcumin, which is the highest amongst turmeric health supplements in the market. Its curcumin content is also 30 times that found in organic turmeric in the market. Fresh and pure, Fong-Man Doctor Red Turmeric gives you much more health benefits! 1.Originally grown in India and tropical Asia, turmeric has over 6000 years of history. 2.Widely used in foods, spices, cosmetics and medicine. 3.Contains high level of curcumin. 4.Curcumin helps to maintain good health, adjust body constitution and boost energy. 5.Highly suitable for everyone in the family. Taiwan Doctor Red Turmeric (120g) Doctor Red Turmeric is the king of turmeric. Organically cultivated, each 120g jar contains 5500mg of curcumin, which is up to 30 times higher than organic turmeric in the market. It is also SGS-certified to be completely free from 426 pesticide residues. It aids metabolism and replenishes energy, giving you beauty and health. 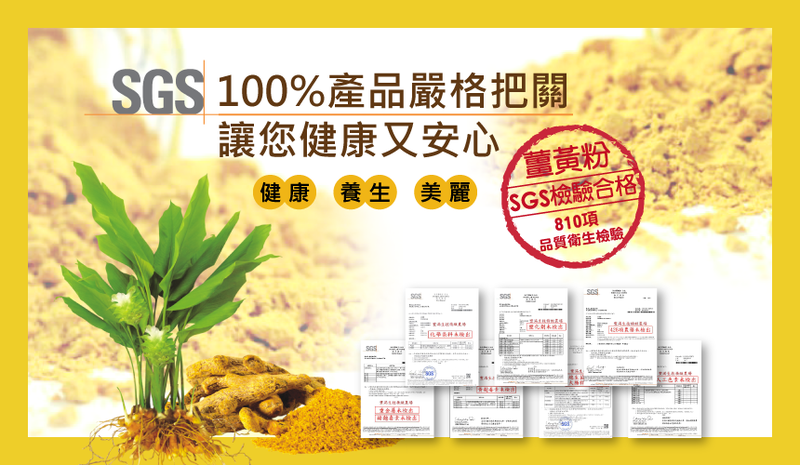 Taiwan Autumn Turmeric (150g) Taiwan Autumn Turmeric is SGS-certified to be completely free from 426 pesticide residues. It contains 0.6~1.5% essential oil, giving it a fresh floral fragrance. Suitable for health maintenance, nutritional supplement and stamina boosting. Taiwan Purple Turmeric (150g) Taiwan Purple Turmeric is SGS-certified to be completely free from 426 pesticide residues. Containing highly concentrated purple turmeric extract with fresh floral fragrance, it strengthens the body, regulates bodily functions, improves appetite, helps maintain digestive functions, prevents constipation and relieves heatiness. Taiwan Red Turmeric – small (50g) Taiwan Red Turmeric for healthcare and culinary use. Suitable for those trying Taiwan Red Turmeric for the first time and for use in cooking, e.g. turmeric chicken soup and turmeric creamy pumpkin soup. Each 50g jar contains 1500mg of curcumin. SGS-certified to be completely free from 426 pesticide residues, it aids metabolism and replenishes energy. Copyrights © 2016 FONG-MAN FARM All Rights Reserved.